EL PASO – Ardovino’s Desert Crossing in Sunland Park, NM, is known as one of the region’s premiere spots for special events and fine dining. But few people may know of the man who inspired it all and how his family is expanding on his legacy. Frank Ardovino’s family came to the U.S. from Italy. The young man first lived in New York, but found his way to El Paso when he joined the U.S. Cavalry and was stationed here. 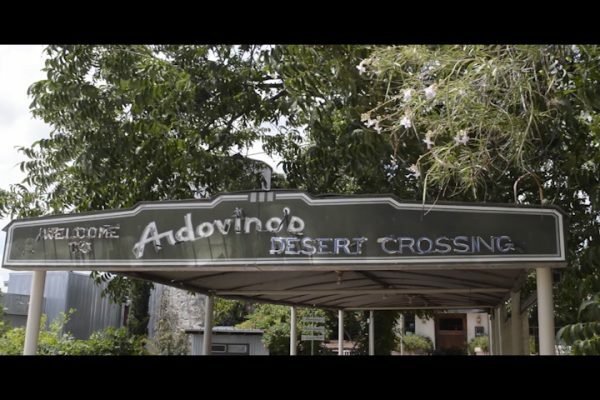 “He fell in love with the desert,” said his great-niece, Marina Ardovino, who co-owns Ardovino’s Desert Crossing with her brother, Robert. The love for the desert landscape led Frank Ardovino to purchase a 30-acre property in New Mexico, near the borders of Texas and Mexico, that he made his home in 1949. Soon he decided to build a large kitchen and open a restaurant that he named Ardovino’s Roadside Inn. “He was super colorful. He was a very interesting guy. He liked all the finer things in life: gambling, drinking, good food,” Marina Ardovino said. Back in the 1950’s, Frank Ardovino also owned The Mecca Club which was nearby. The Mecca Club was a “key club,” a private bar where members could drink cocktails at a time when it was illegal to sell liquor by the glass in Texas. “He ran that club for a while. He had gambling and drinking,” Marina Ardovino said. Frank Ardovino was a fan of the finer things in life and enjoyed entertaining people, his great-niece explained. After he added a swimming pool to the property, it became the backdrop to many of his swanky cocktail parties. 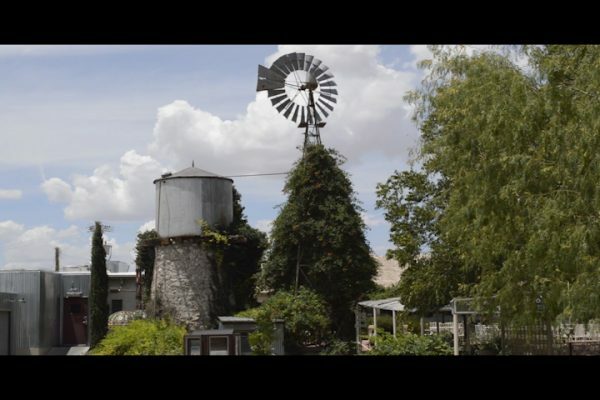 Ardovino’s was one of the many “Wild West” party places to get a mention in a book by Las Cruces writer Paula Moore. Her book, “Cricket in the Web.” recounts the story of a Las Cruces waitress named Ovida “Cricket” Coogler who was found dead in Mesquite, N.M. sometime after being seen getting into a car with a mystery man in downtown Las Cruces. The case led to court inquiries and investigations aimed at rooting out corruption in New Mexico politics. “Her murder single handedly brought down all of the gambling in New Mexico because of all the corruption,” Marina Ardovino said. In the book’s intro, Moore talks of how gambling and prostitution were rampant throughout Southern New Mexico in 1949. When Frank Ardovino passed away in 1973, the property was maintained by his nephew, Joseph Ardovino, who was the original owner of the Ardovino’s Pizza restaurant in El Paso on Cincinnati St. Joseph Ardovino decided to lease out the Roadside Inn for three more years until it closed. Decades later, Joseph Ardovino’s children, Marina and Robert returned home from college and decided to re-open their Uncle’s hidden gem. “We’ve done a lot of renovation to it, but it’s always been a spectacular place. You walk in and go ‘Wow’,” Marina Ardovino said. Today, Ardovino’s Desert Crossing is home to a popular Saturday farmer’s market that features vendors from around the region. Vendor Heaven Lagarda says the scenery makes the market unique. The Ardovinos have made many modifications to the property over the years, expanding beyond a small dining area. The restaurant features a lounge (called the Mecca lounge in a nod to the past), multiple dining rooms, a garden patio and a separate banquet hall. Currently, they are in the process of building what they call the “Skydeck,” which will be an outdoor venue with a 360-view, taking in Texas, Mexico and New Mexico. “It’s going to be spectacular,” Marina Ardovino said. Future plans include an amphitheater, a boutique hotel and even an RV park. Whatever the Ardovinos do next, they will always make sure to keep their Uncle Frank in mind. This story was produced during the summer 2016 UTEP Broadcast Journalism Workshop for the TV-style news magazine Borderzine Presents: Hidden El Paso. The program explored an eclectic mix of El Paso’s hidden hazards and unexpected gems.